More Government money needs to be allocated to subsidise childcare costs, according the the group that represents childminders in Northamptonshire. In Northamptonshire, childminders charge £4.50 per hour on average, but the basic hourly rate that the Government pays for three to four-year-olds is £3.57. The gap means many childminders are less likely to pay to get extra qualifications. Elaine Pitteway, executive director of the Northamptonshire Childminding Association, said: “It gets into a kind of vicious circle. The childminder is unwilling to pay the money to upgrade their skills, which means they don’t qualify for council supplements to the Government money. 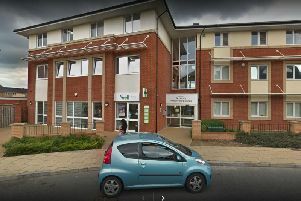 The association, which represents 350 of the 800 childminders in Northamptonshire, is also keen for other parties to match the pledge by the Labour party to extend the current 15 hours of free child care to 25 hours. Mrs Pitteway said: “In the end it helps make it more worthwhile for people to be able to go out and work.